Jamie Langenbrunner will wear the 'C' for the United States as they chase gold in Vancouver. Jamie Langenbrunner isn't looking for Team USA to simply be competitive at the upcoming Olympic Games. The 13-year NHL veteran is hoping the Americans run rings around the competition. Tabbed as a longshot to take the men's hockey gold in Vancouver, the United States squad might appear, at least on paper, in tough as the Winter Games draw closer. But for the man who has been awarded the role of captain, the U.S. team is heading to British Columbia with a purpose. Langenbrunner, who made his Olympic debut in Japan, 12 years ago, and is the only carry-over from that team, was introduced as Team USA captain in a conference call on January 11, 2010, leading a roster that boasts only three players with Olympic experience. The Americans also have four assistant captains to help Langenbrunner lead the charge. NHLPA members Zach Parise, Dustin Brown, Brian Rafalski and Ryan Suter, whose father was a part of Team USA's epic win at the 1980 Winter Games at Lake Placid, New York, will all wear the ‘A' on their sweaters. 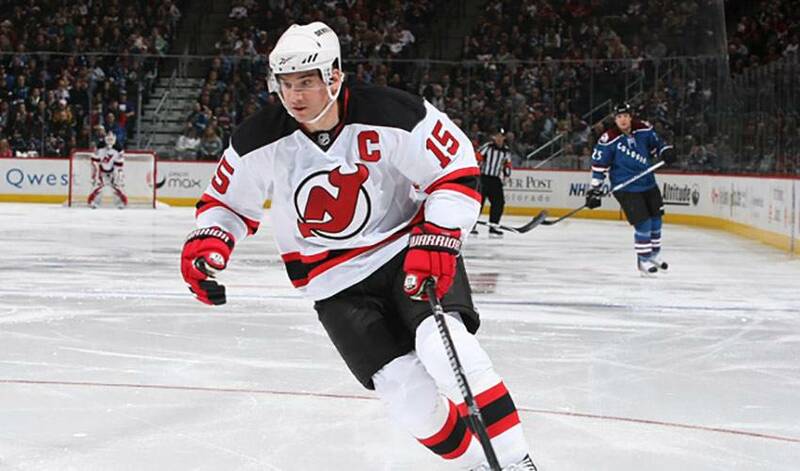 Langenbrunner, who wears the ‘C' for New Jersey, was a popular pick for the captaincy. Langenbrunner is looking forward to the challenge of bringing home a gold medal, a road that starts against Switzerland on February 16. Five days later, the U.S. clashes with the Canadians. Langenbrunner, a native of Cloquet, Minnesota, has carved out a solid NHL career. This campaign, the forward, who will reach the 1,000 regular season games-played mark in 2010-11, is averaging almost a point per game for the Devils. On January 2, 2010, Langenbrunner recorded the first hat trick of his career while playing against the Minnesota Wild in his home state of Minnesota. In January 2009, Langenbrunner scored two goals in three consecutive games, including three game winners for the Devils. Two of those game-winning goals came in overtime. His streak of three consecutive multi-goal games with a game-winning goal was last accomplished by Wayne Gretzky in 1981-82. Langenbrunner went on to set career highs in goals (29) assists (40) points (69) and a plus/minus rating of plus-25 during the 2008-09 season. Langenbrunner teamed with linemates Zach Parise and Travis Zajac last year to combine for 94 goals and 131 assists for 225 points along with a combined plus/minus rating of plus-88. While his focus leading up to the Olympics is to maintain his strong numbers and help put New Jersey in prime position for the playoffs, Langenbrunner is bracing for the challenges that await in Vancouver. And while taking on Canada on their home ice might seem like a daunting task, Langenbrunner isn't willing to wave the white flag.